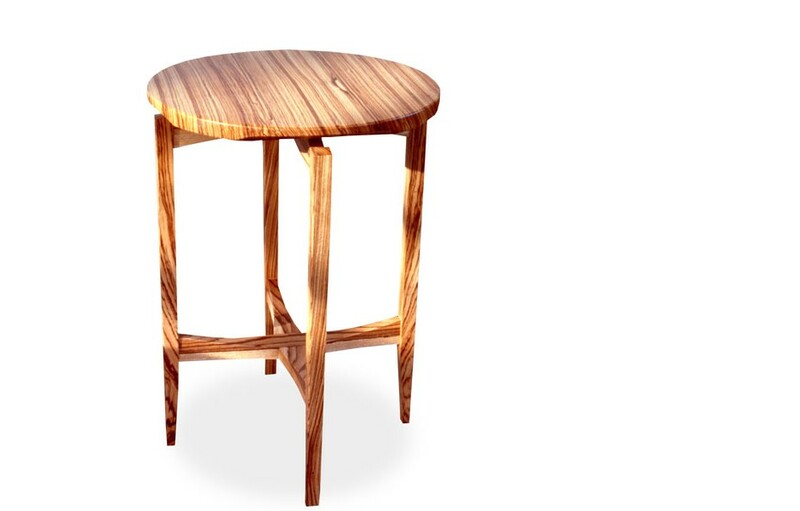 A favorite little table, with the top seeming to float above the legs. The delicate legs are in turn held by the curving cross braces. This piece works very well with the top a different species from the legs and frame.